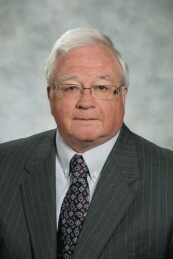 Mr. Mead is one of the founding shareholders of Dean Mead. He has more than 40 years of experience representing physicians and medical entities with business matters, including employment agreements, buy-sell agreements, negotiation of hospital contracts and related agreements involving physicians and healthcare relationships. In addition, he assists clients with employee benefits matters, including retirement plans. He is a member of the Board of Trustees of the Florida Heart Institute, an affiliate of Florida Hospital. In 2007, Dean Mead supported a plan by the University of Central Florida’s College of Medicine to provide full scholarships for all 41 students in its inaugural class. Dean Mead endowed the first scholarship, naming it for Robert W. Mead, Jr. It serves as a fitting commemoration of the long standing tradition of outstanding legal service that has been provided to the medical community by Mr. Mead.